Client aimed to construct a smarter app that better remembers a customer and their preferences. The goal was to drastically reduce order-time by; storing payment information, order history, and addresses, personalizing the app for every user. With only five clicks, customers can place their order! 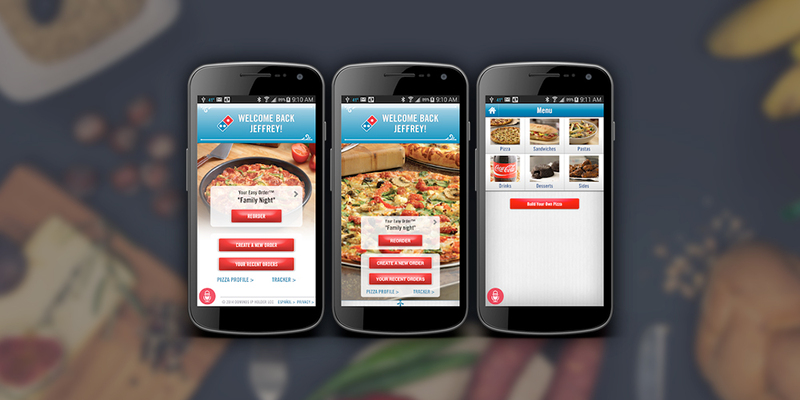 Domino’s tapped into the mobile market and their business prospered as a result, the numbers speak for themselves. Domino’s mobile apps generate 10% of the company’s national revenue and earned an average rating of 4.9 stars with over 300,000 reviews in the App Store and Google Play.